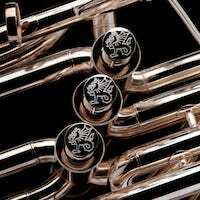 We are pleased that in association with BrassNor (www.Brassnor.no) in Norway, professional brass player, Mats UrdahI-Aasen has become a Wessex Artist/ambassador. Mats UrdahI-Aasen has his formal education from the University of Tromso and the University of Stavanger, with Euphonium as the main instrument, and has also studied conducting as a part of his education. His Brass Band career has been Solo Euphonium in Stavanger Brass Band. He is now playing solo trombone in Musikkorpset Gjallarhorn in Stavanger. Mats has worked ﬁrmly in the Armed Forces Military Band, Northern Norway, and has also worked with most other military bands in the country. Today Mats works as a freelance musician, conductor and instructor.